Earlier this week, volunteer faculty members attended an iPad training workshop with Stuart Ralston, Apple Professional Development Specialist. ISTP launched a pilot iPad program for students and faculty, with 20 ipads available for the faculty members who volunteered to develop iPad projects and resources for students, 24 iPads on a mobile cart on Cowper Campus for student use, and 23 iPads on a mobile cart on Cohn Campus for student use. 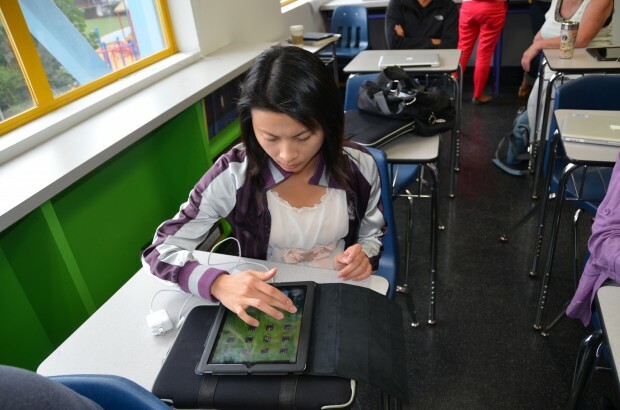 In addition to the mobile iPad carts, teachers from two classes volunteered to be the pilot 1:1 iPad classes. Each student in 3rd Grade Chinese and 5th grade Chinese will receive an iPad for their individual use (the iPad will remain in the classroom). Teachers who attended the iPad training learned everything from the basics of using the iPad to developing Keynote presentations, iMovies, QR quotes and how to use them in the classroom, and iBooks. Olivier Monteil, 4th Grade French Program teacher, said of the training, "I loved it! It was very hands-on. We created our own mini-projects the same way we would ask our students to do so, and Stuart (the trainer) had us reflect on the impact technology has on how students learn. For elementary school classes, this may be a better tool than the laptop, because file and document management is easier and doesn't get in the way when you create a project." David Huang, Kindergarten Chinese Program Co-Teacher was "very excited about implementing the skills I learned from the iPad training. I gained a new perspective and insight on how technology allows individuals to become independent and active learners." English Teacher Susan Brooks believes that the "iPad training was exceptional. Everyone in the room was excited about using the iPad in the classroom this coming year. Instead of feeling overwhelmed with two days of iPad learning, I know that I personally felt energized." 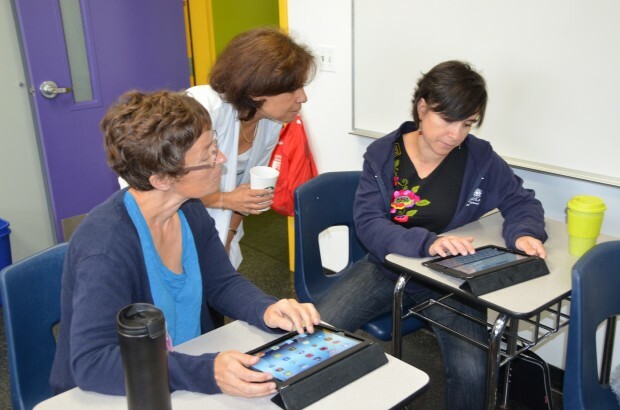 "There are so many ways the iPad can help us to both teach and learn," she continued. "When I replayed my first audio and visual direction piece in real time, it felt the same as when I received my first email. It's so empowering! I thank ISTP and Mathieu, our IT Director, for bringing us this opportunity to be better teachers and learners!"